Following acclaimed excursions on Hypercolour (Needs You EP) and Will Sauls Aus Music (Child EP) last year, George FitzGerald is preparing to make his return to his Hotflush home for the first time since 2011. 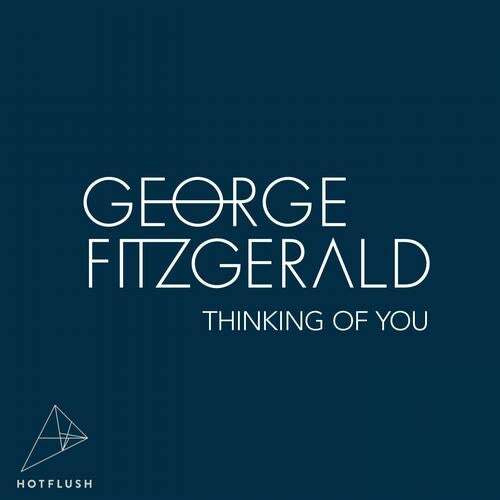 Premiering in FitzGeralds debut Radio 1 Essential Mix last month as part of the 2013s Future Stars series, Thinking Of You is scheduled to drop as a Beaport exclusive on 18th March, with full physical release and accompanying tracks to follow in May. Having displayed his innate understanding of how to craft a musical narrative with the Essential Mix, Thinking Of You turns to the darker realms of the dance floor imbued with the same kind of precision-tooled grooves, nuanced melodic touch and emotive shades that have garnered him such praise in the past. The last twelve months have been extremely busy for FitzGerald as he continues to capture the attention of industry heads and fans alike with his refined and emotive homegrown club music. Releasing music on his regular home Hotflush, as well as Will Sauls Aus Music imprint and the acclaimed Hypercolour stable, not to mention his own burgeoning ManMakeMusic imprint, FitzGerald's flourishing discography continues to grow steadily but impeccably.